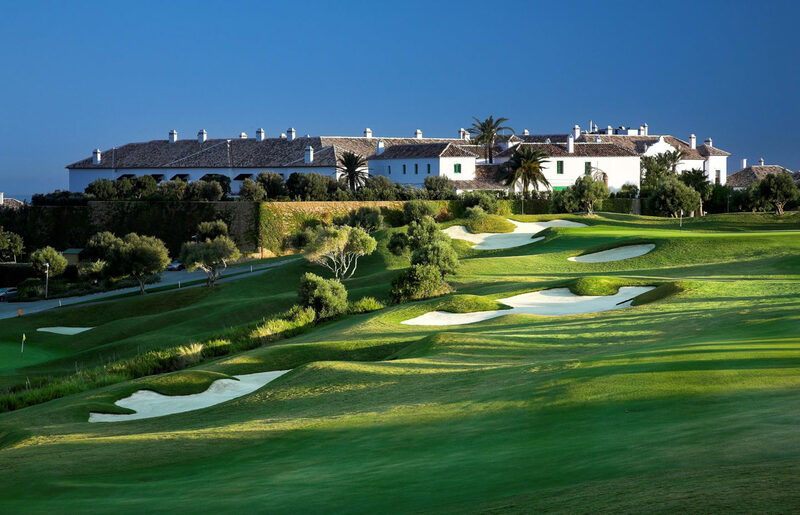 With a Moorish and Castilian vibe and a decidedly contemporary edge, Finca Cortesin faces the Mediterranean Sea in southern Spain’s golden Costa del Sol. 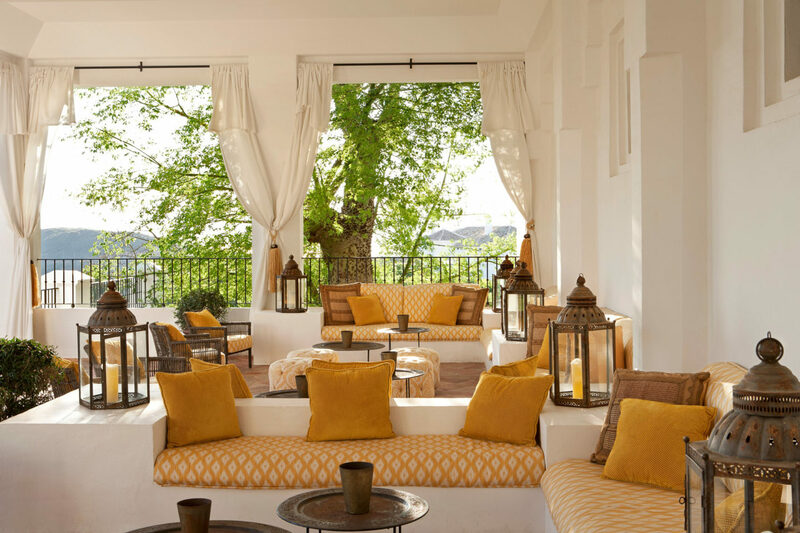 The resort’s Andalusian architecture houses 68 accommodations and brims with historic details, including white walls, courtyards, antique terra cotta floors and wooden doors that once graced European castles. 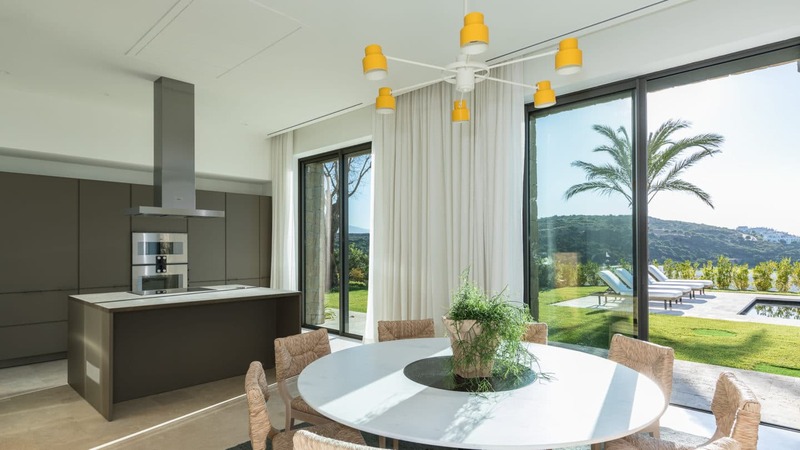 For those celebrating a special occasion or family reunions, stay in the south-facing La Reserva villas or one of the three new luxury five-bedroom villas,“The Green 10”; aptly named for their location between holes 9 and 10 on the championship golf course. 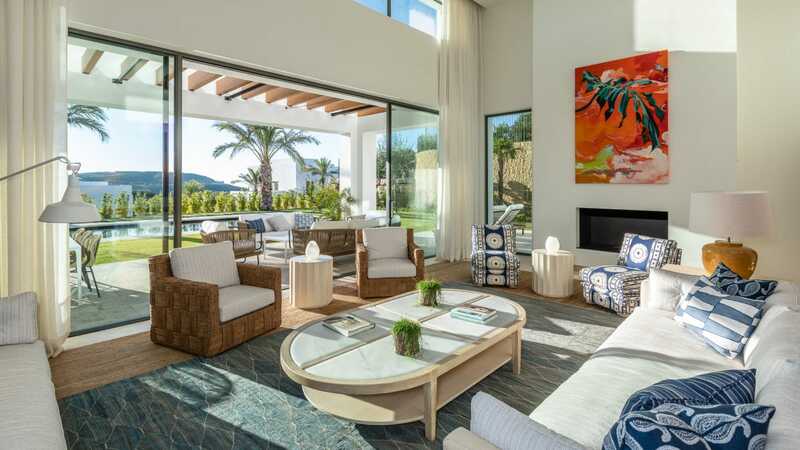 The resort is home to one of the region’s top-rated golf courses designed by Cabell Robinson, and a chic beach club sporting an infinity pool and bar/restaurant. The Spa is another playground for the pampered set. 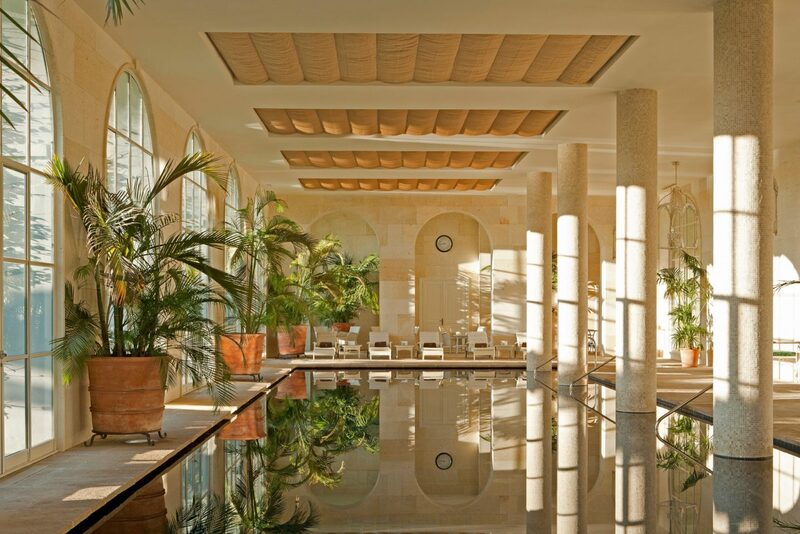 Guests will luxuriate in heated and double-cushioned massage beds, a rejuvenating snow cave (the first in Spain), Turkish baths, thermal areas and an indoor heated pool. Diverse dining options include Japanese specialties at Michelin-starred Kabuki Raw and Iberian fare at El Jardin de Lutz. The meticulously landscaped gardens, gracious lobby and fountain-filled foyer greets travelers with a warm welcome, and a wish to come back again. 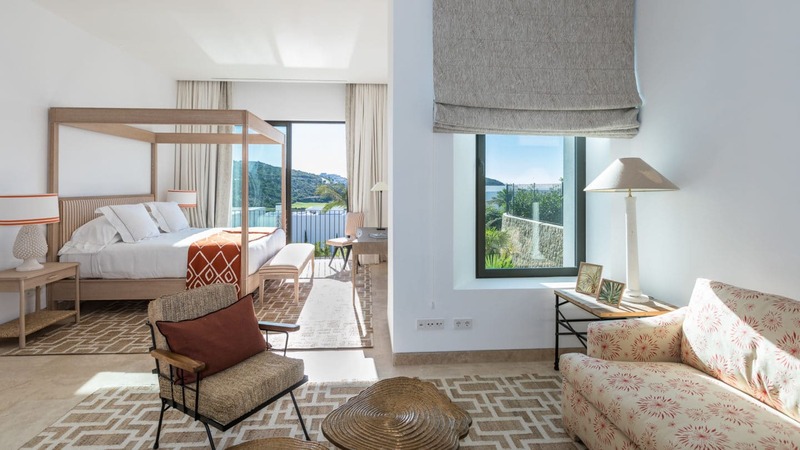 The 67 hotel suites are elegantly decorated with refined simplicity, high ceilings that lend to the atmosphere of calming serenity and large terraces to enjoy sunsets. All feature sitting rooms with plush furnishings and bathrooms are designed in Italian marble and come with an oversized bath and separate shower area. Four-bedroom villas are perfect for large families or groups at over 4,500 square feet. 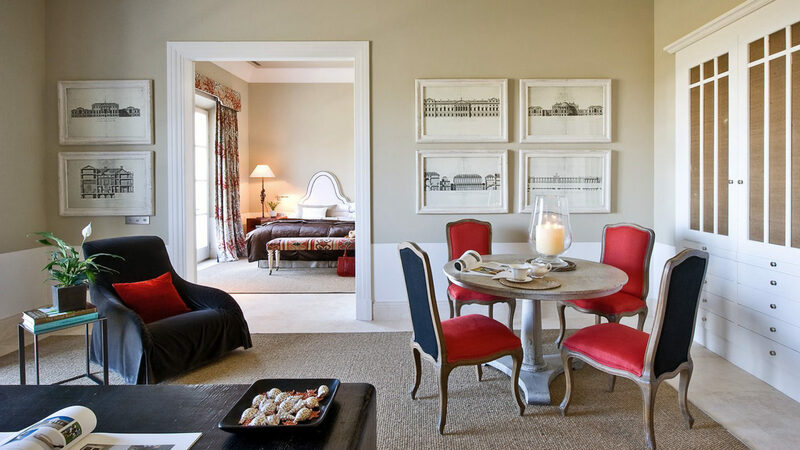 Each bedroom features an en suite bath and king bed, and common areas include a living room with fireplace, dining room, fully furnished kitchen equipped with the latest appliances, powder room, and ample outdoor living with porches, garden and private swimming pool. 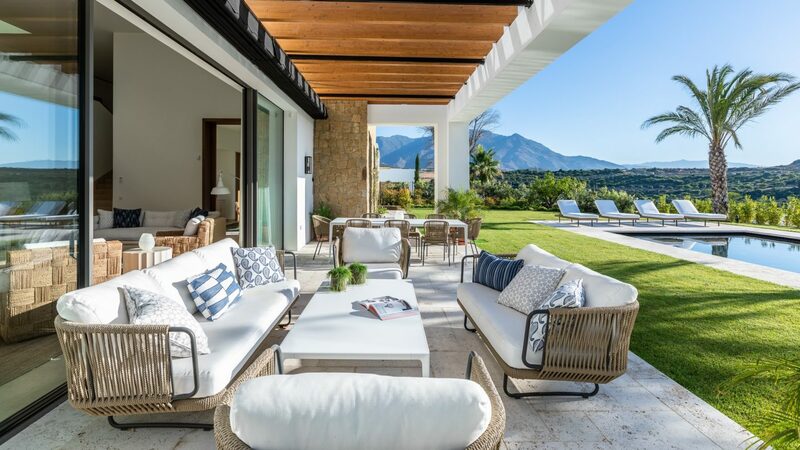 The architecture is Mediterranean in style, spacious and sunny with beautiful features, creating a smooth transition with the majestic Finca Cortesin Hotel. 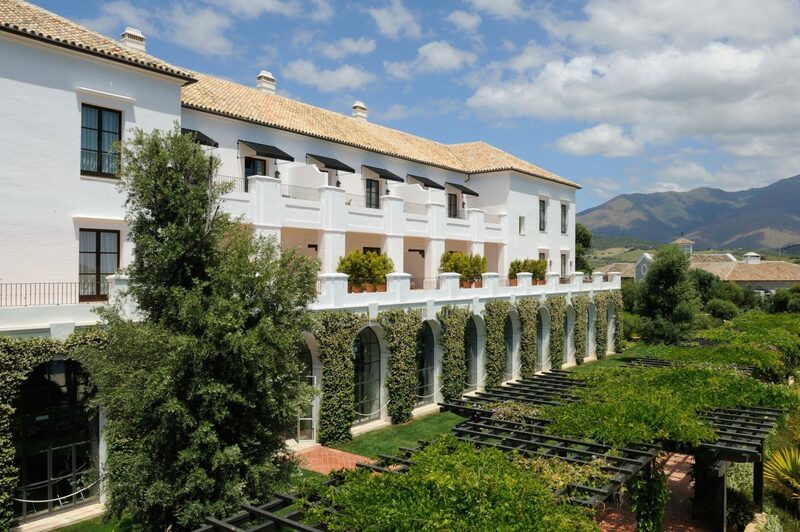 Finca Cortesin in located in Casares, Spain, between Marbella and Sotogrande.